Home, Door and Window Products steel entry doors and steel exterior doors add beauty and value to your home or business. We have over 150,000 satisfied customers who have purchased our beautiful steel doors. Home and Door has a variety of steel entry doors and steel exterior doors to select from. We have been in the steel door industry for over 30 years, and our team of sales associates are experienced and extremely knowledgeable. Home and Door sells the Therma-Tru brand steel doors which are the most durable and weather resistant doors on the market. Clarkston is a small city located in Oakland County, Michigan approximately halfway between Detroit and Flint with a small population of 882. The historic homes in the city reflect Clarkston’s heritage, giving the community an air of timeless elegance. Home and Door will help add to your home or business elegance with our unique custom steel doors. 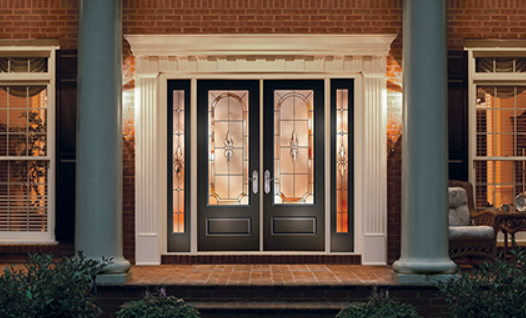 Our steel entry doors will add curb appeal and beauty to your residence. Home and Door’s steel exterior doors are energy efficient, cost-effective and will heighten your security. Home and Door values our relationships with our customers. Our goal is to provide you with the best steel doors available, offer great customer service, and get the job done promptly. We have a beautiful showroom open displaying all of our beautiful steel doors. Home and Door’s sales team is trained with the latest technology and is available to help guide you through the process, and we even provide free in-home estimates! Contact Home, Door and Window Products at (248) 399-9900 today!